Time and again if I ever set myself away from it, for the Price factor only I again re took the same. Its the Apple and the Design that bring me back, overlooking the Price, specially in India. As far as the passion of Devices I got , it took me some analysis before jumping on the latest. To compare iPad Air with Nokia Lumia 2520 or Samsung Galaxy Tab is just not right. 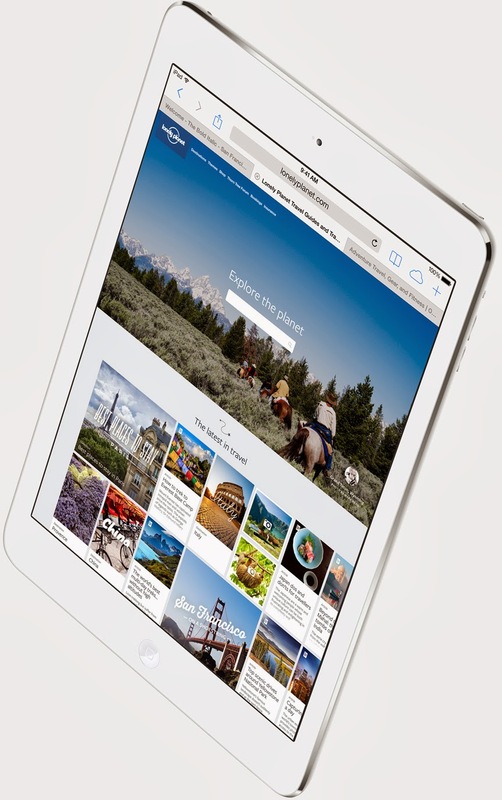 iPad Air is a Complete product that the half baked Cakes of Others. I learnt and learnt a lot on the ongoing changes and experienced its kick out of temptation, to select the best of value. Now here is the best iPad Air with really thin and splendid performance of 64 bit Computing. Incredible to watch movies and the MIMO antenna to boost the speed of surfing through bothe Wi-Fi and 3G or 4G LTE connectivity.